The time is now! 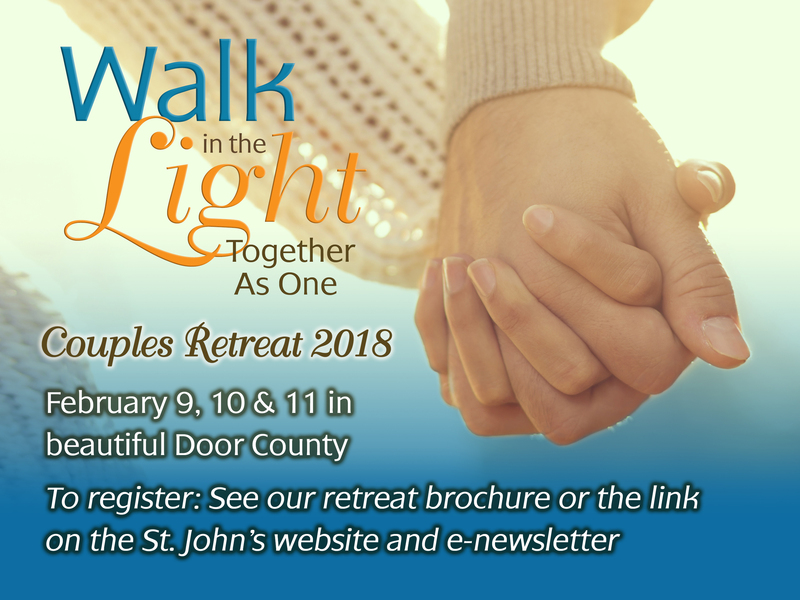 Registration is open for the 2018 Couple’s Retreat in Door County. Make sure you pencil February 9-11, 2018 in your calendar, and download the brochure to register. It promises to be a great weekend and a time to grow together in Christ. Let the Light shine bright in your marriage. The Lord has plans for you and He has prepared a way to new life in the Light. Join your fellow couples in beautiful, romantic Door County as we learn to “Walk in the Light” together and grow closer to one another through fellowship, worship, and His word.